Today is the Feast of the Conversion of Saint Paul [25 January]. Because I was born a day later, my mother wanted to call me Paul. Those who brought me to baptised had other ideas, but my mother often continued to call me Paul, and while I am more than comfortable with the name Patrick, there is a way in these two days come together for me as one celebration. 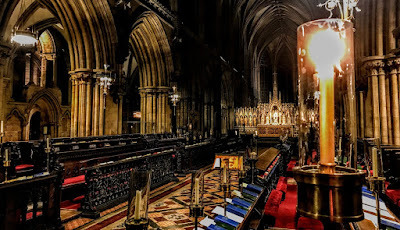 I have taken two days off for a sort of mini-retreat or pilgrimage in Lichfield, and I attended the mid-day Eucharist in Lichfield this afternoon, and the First Choral Evensong of the Feast in the cathedral yesterday evening. Today also marks the end of the Week of Prayer for Christian Unity. Last night during the intercessions at Choral Evensong, the intercessions named Bishop Michael Ipgrave of Lichfield, but also named Archbishop Justin Welby of Canterbury, Pope Francis and Patriarch Bartholomeos. The week, or rather, the Octave of Christian Unity, from 18 to 25 January, links the Confession of Saint Peter, marked in many Church calendars last Wednesday [18 January], and the Feast of the Conversion of Saint Paul. Appropriately, the icon of Christian Unity in the Orthodox tradition shows the Apostle Peter and the Apostle Paul embracing – almost wrestling – arms around each other, beards so close they are almost intertwining. Last night, there was a robed choir of almost 30, including girls and men, and it was a privilege to sit in the chapter stalls for Choral Evensong. 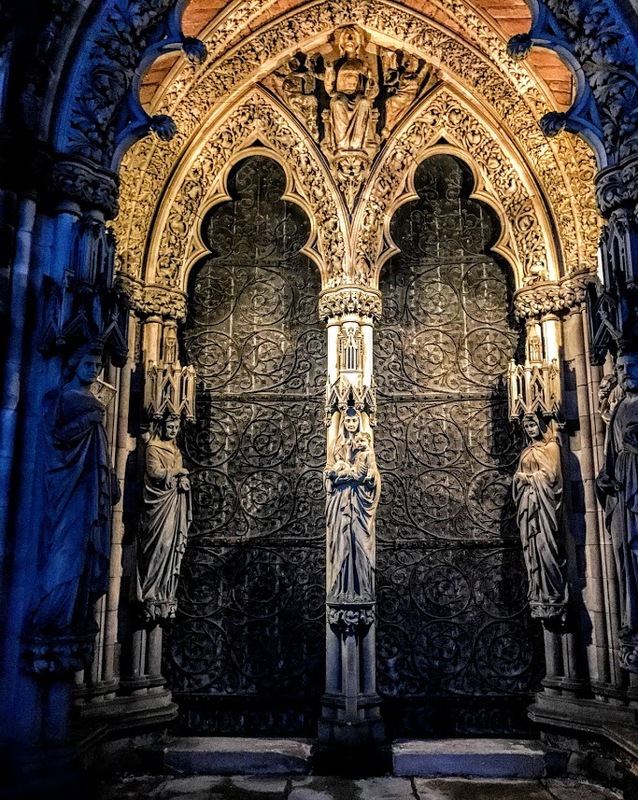 Perhaps the most beautiful part of the service was the choir singing Gustav Holst’s setting of the canticle Nunc Dimittis.